This anthology, drawn from the teachings of Phra Ajaan Lee Dhammadharo, provides an introduction to the basic outlines of his thought and the method of meditation he taught. The first excerpt, from The Craft of the Heart, was written shortly after he had received training from Phra Ajaan Mun Bhuridatto. In it, Ajaan Lee shows how he regarded the state of meditation practice in Thailand at the time, and gives some ideas of why he himself had chosen the path of becoming a meditating monk. The passage from Keeping the Breath in Mind details the method of meditation he developed and taught in the later years of his life. The passage from The Path to Peace and Freedom for the Mind elaborates on a theme he had learned from Ajaan Mun: that there are no sharp boundaries among the practice of virtue, concentration, and discernment, and that all three of these aspects of the path are mutually reinforcing. The three excerpts from Dhamma talks make a similar point: that there is no sharp division between the practice of tranquillity meditation and insight meditation. They also emphasize the role played by experimenting and using one's powers of observation in developing meditation as a skill. The excerpts from Frames of Reference and Basic Themes deal with the development of discernment, particularly with regard to detecting the currents of the mind — both those that flow out and get involved with the world, and those that spin around with reference to the mind in the present — so as to touch the aspect of the mind that doesn't flow, even to the present moment. The next excerpt, from the concluding section of The Craft of the Heart, discusses the goal of the practice as a supreme awareness, beyond all suppositions. The final excerpt, from Ajaan Lee's Autobiography, discusses some of the lessons he learned by living in the forest. My hope is that this anthology will inspire the reader to further explore Ajaan Lee's teachings — both through reading more of his writings and through putting their teachings into practice. When I first became aware of the conflicting views held by people who practice — and of how ill-informed they are — I felt inspired by their desire to learn the truth, but at the same time dismayed over their views: right mixed with wrong, some people saying that nibbana and the paths leading to it still exist, others maintaining that nibbana has passed away and can no longer be attained. This latter belief is a particular cause for dismay, because a desire for nibbana is what has led us all to submit ourselves to the practice of the Buddha's teachings in the first place. If we don't have such a desire, we aren't likely to be especially sincere in our practice; and if we aren't sincere, our practice will be in vain as far as the benefits the Buddha intended for us are concerned, because the Buddha's sole purpose in teaching was to liberate living beings from suffering and stress. If we were to worm our way in as parasites on his religion, it would run counter to his compassionate intentions toward us. Each and every one of us aims for what is good, so we should pay heed to whatever factors may lead to release from suffering and stress. Don't let the Buddha's teaching pass by you in vain. But no matter what level a person may know, if he doesn't know the hearts and minds of others, he'll have great difficulty in making his teachings effective and beneficial. Even though he may have good intentions, if he lacks knowledge of those he is teaching, progress will be difficult. The Buddha, whenever he taught, knew the capabilities and dispositions of his listeners, and the level of teaching for which they were ripe. He then tailored his teachings to suit their condition, which was why he was able to get good results. Even though he had a lot of seed to sow, he planted it only where he knew it would sprout. If he saw that the soil was barren or the climate harsh, he wouldn't plant any seed at all. But as for us, we have only a fistful of rice and yet we cast it along a mountain spine or in the belly of the sea, and so get either meager results or none at all. Thus in this book I have included teachings on every level — elementary, intermediate, and advanced — leaving it up to the reader to pick out the teachings intended for his or her own level of attainment. In practicing meditation, if you direct your mind along the right path, you'll see results in the immediate present. At the same time, if you lead yourself astray, you'll reap harm in the immediate present as well. For the most part, if meditators lack the training that comes from associating with those who are truly expert and experienced, they can become deluded or schizoid in a variety of ways. How so? By letting themselves get carried away with the signs or visions that appear to them, to the point where they lose sense of their own bodies and minds. Playing around with an external kasina is a special culprit in this regard. Those who lack sufficient training will tend to hallucinate, convinced of the truth of whatever they focus on, letting themselves get carried away by what they know and see until they lose touch with reality, making it difficult for any sort of discernment to arise. For this reason, in this guide I have taught to focus exclusively on the body and mind, the important point being not to fasten on or become obsessed with whatever may appear in the course of your practice. There are a wide variety of meditation teachers who deviate from the basic principles taught by the Buddha. Some of them, hoping for gain, status, or praise, set up their own creeds with magical formulae and strict observances, teaching their students to invoke the aid of the Buddha. (Our Lord Buddha isn't a god of any sort who is going to come to our aid. Rather, we have to develop ourselves so as to reach his level.) Some teachers invoke the five forms of rapture, or else visions of this or that color or shape. If you see such and such vision, you attain the first level of the path, and so on until you attain the second, third, and fourth levels, and then once a year you present your teacher with offerings of rice, fruit, and a pig's head. (The Buddha's purpose in spreading his teachings was not that we would propitiate him with offerings. He was beyond the sway of material objects of any sort whatsoever.) Once the pupils of such teachers come to the end of their observances, they run out of levels to attain, and so can assume themselves to be Buddhas, Private Buddhas or Noble Disciples, and thus they become instant arahants. Their ears prick up, their hair stands on end, and they get excited all out of proportion to any basis in reality. Perhaps a thought arises and you think that it's insight, and then you really get carried away. You may decide that you're a stream-winner, a once-returner, or an arahant, and no one in the world can match you. You latch onto your views as correct in every way, giving rise to pride and conceit. (All of the things mentioned here, if you get attached to them, are wrong.) When this happens, liberating insight won't have a chance to arise. So you have to keep digging away for decades — and then get fixated on the fact that you've been practicing a full twenty years, and so won't stand for it if anyone comes along and thinks he's better than you. So, out of fear that others will look down on you, you become even more stubborn and proud, and that's as far as your knowledge and ingenuity will get you. When it comes to actual attainment, some people of this sort haven't even brought the Triple Gem into their hearts. Of course, there are probably many people who know better than this. I don't mean to cast aspersions on those who know. For this reason, I have drawn up this book in line with what I have studied and practiced, If you see that this might be the path you are looking for, give it a good look. My teacher didn't teach like the examples mentioned above. He taught in line with what was readily available, without requiring that you had to offer five incense sticks or ten candles or a pig's head or puffed rice or flowers or whatever. All he asked was that you have conviction in the Buddha and a willingness to practice his teachings. If you wanted to make an offering, some candles and incense as an offering to the Triple Gem would do — one candle if you had one, two if you had two; if you didn't have any, you could dedicate your life instead. Then he would have you repeat the formula for taking refuge in the Triple Gem as in the method given in this book. His approach to teaching in this way has always struck me as conducive to the practice. I have been practicing for a number of years now, and what I have observed all along has led me to have a sense of pity, both for myself and for my fellow human beings. If we practice along the right lines, we may very likely attain the benefits we hope for quickly. We'll gain knowledge that will make us marvel at the good that comes from the practice of meditation, or we may even see the paths and fruitions leading to nibbana in this present life — because nibbana is always present. It lacks only the people who will uncover it within themselves. Some people don't know how; others know, but aren't interested — and have mistaken assumptions about it to boot: thinking, for example, that nibbana is extinct, doesn't exist, can't be attained, is beyond the powers of people in the present day; saying that since we aren't Noble Disciples, how could we possibly attain it. This last is especially deluded. If we were already good, already Noble Disciples, what purpose would we have in going around trying to attain nibbana? If we don't despise the Buddha's teachings, then we can all practice them. But the truth of the matter is that though we worship the Dhamma, we don't practice the Dhamma, which is the same as despising it. If we feel well-enough situated in the present, we may tell ourselves that we can wait to practice the Dhamma in our next lifetime, or at least anytime by right now. Or we may take our defilements as an excuse, saying that we'll have to abandon greed, anger, and delusion before we can practice the Buddha's teachings. Or else we take our work as an excuse, saying that we'll have to stop working first. Actually, there's no reason that meditation should get in the way of our work, because it's strictly an activity of the heart. There's no need to dismantle our homes or abandon our belongings before practicing it; and if we did throw away our belongings in this way, it would probably end up causing harm. Even though it's true that we love ourselves, yet if we don't work for our own benefit, if we vacillate and hesitate, loading ourselves down with ballast and bricks, we make our days and nights go to waste. So we should develop and perfect the factors that bring about the paths and fruitions leading to nibbana. If you're interested, then examine the procedures explained in the following sections. Pick out whichever section seems to correspond to your own level and abilities, and take that as your guide. (1) it arises from upadana — clinging through mistaken assumptions — which forms the essence of kamma. (2) It is sustained by nourishment provided by our parents; and since our parents have nothing of their own with which to nourish us, they have to search for food — two-footed animals, four-footed animals, animals in the water, and animals on land — either buying this food or else killing it on their own and then feeding it to us. The animals abused in this way are bound to curse and seek revenge against those who kill and eat them, just as we are possessive of our belongings and seek revenge against those who rob us. Those who don't know the truth of the body take it to be the self, but after considering the diseases we suffer in our eyes, nose, mouth, and throughout the various parts of the body, I concluded that we've probably been cursed by the animals we've eaten, because all of these parts come from the food we've made of their bodies. And so our body, cursed in this way, suffers pain with no recourse for begging mercy. Thus, victim to the spirits of these animals, we suffer pains in the eyes, pains in the ears, pains in the nose and mouth and throughout the body, until in the end we have to relinquish the whole thing so they can eat it all up. Even while we're still living, some of them — like mosquitoes and sandflies — come and try to take it by force. If we don't let go of our attachments to the body, we're bound to suffer for many lives to come. This is one reason why I felt attracted to the Buddha's teachings on not-self. (3) The body passes away from being denied nourishment. The fact that this happens to us is without a doubt a result of our past actions. We've probably been harsh with other living beings, denying them food to the point where they've had to part with the bodies they feel such affection for. When the results of such actions bear fruit, our bodies will have to break up and disband in the same way. Considering things in this manner caused me to feel even more attracted to the practical methods recommended by the Buddha for seeing not-self and letting go of our clinging assumptions so that we no longer have to be possessive of the treasures claimed by ignorant and fixated animals. If we persist in holding onto the body as our own, it's the same as cheating others of their belongings, turning them into our own flesh and blood and then, forgetting where these things came from, latching onto them as our very own. When this happens, we're like a child who, born in one family and then taken and raised in another family with a different language, is sure to forget his original language and family name. If someone comes along and calls him by his original name, he most likely won't stand for it, because of his ignorance of his own origins. So it is with the body: Once it has grown, we latch onto it, assuming it to be the self. We forget its origins and so become drugged, addicted to physical and mental phenomena, enduring pain for countless lifetimes. These thoughts are what led me to start practicing the teachings of the Buddha so as to liberate myself from this mass of suffering and stress. 3. Observe the breath as it goes in and out, noticing whether it's comfortable or uncomfortable, broad or narrow, obstructed or free-flowing, fast or slow, short or long, warm or cool. If the breath doesn't feel comfortable, change it until it does. For instance, if breathing in long and out long is uncomfortable, try breathing in short and out short. d. in short and out short. If you suffer from frequent headaches or nervous problems, don't focus on any spot above the base of the throat. And don't try to force the breath or put yourself into a trance. Breathe freely and naturally. Let the mind be at ease with the breath — but not to the point where it slips away. 7. Unite the breath sensations throughout the body, letting them flow together comfortably, keeping your awareness as broad as possible. Once you are fully aware of the aspects of the breath you already know in your body, you'll come to know all sorts of other aspects as well. The breath, by its nature, has many facets: breath sensations flowing in the nerves, those flowing around and about the nerves, those spreading from the nerves to every pore. Beneficial breath sensations and harmful ones are mixed together by their very nature. To summarize: (a) for the sake of improving the energy already existing in every part of your body, so that you can contend with such things as disease and pain; and (b) for the sake of clarifying the knowledge already within you, so that it can become a basis for the skills leading to release and purity of heart — you should always bear these seven steps in mind, because they are absolutely basic to every aspect of breath meditation. When you've mastered them, you will have cut a main road. As for the side roads — the incidentals of breath meditation — there are plenty of them, but they aren't really important. You'll be perfectly safe if you stick to these seven steps and practice them as much as possible. Now we will summarize the methods of breath meditation under the headings of jhana. Jhana means to be absorbed or focused in a single object or preoccupation, as when we deal with the breath. These three qualities must be brought together to bear on the same stream of breathing for the first jhana to arise. This stream of breathing can then take you all the way to the fourth jhana. Directed thought, singleness of object and evaluation act as the causes. When the causes are fully ripe, results will appear — (d) rapture (piti): a compelling sense of fullness and refreshment for body and mind, going straight to the heart, independent of all else. (e) Pleasure (sukha): physical ease arising from the body's being still and unperturbed (kaya-passaddhi); mental contentment arising from the mind's being at ease on its own, unperturbed, serene and exultant (citta-passaddhi). Rapture and pleasure are the results. The factors of the first jhana thus come down simply to two sorts: causes and results. As rapture and pleasure grow stronger, the breath becomes more subtle. The longer you stay focused and absorbed, the more powerful the results become. This enables you to set directed thought and evaluation (the preliminary ground-clearing) aside, and — relying completely on a single factor, singleness of object — you enter the second jhana (magga-citta, phala-citta). 2. The second jhana has three factors: rapture, pleasure and singleness of object (magga-citta). This refers to the state of mind that has tasted the results coming from the first jhana. Once you have entered the second level, rapture and pleasure become stronger because they rely on a single cause, singleness of object, which looks after the work from here on in: focusing on the breath so that it becomes more and more refined, keeping steady and still with a sense of refreshment and ease for both body and mind. The mind is even more stable and intent than before. As you continue focusing, rapture and pleasure become stronger and begin to expand and contract. Continue focusing on the breath, moving the mind deeper to a more subtle level to escape the motions of rapture and pleasure, and you enter the third jhana. 3. The third jhana has two factors: pleasure and singleness of object. The body is quiet, motionless and solitary. No feelings of pain arise to disturb it. The mind is solitary and still. The breath is refined, free-flowing and broad. A radiance — white like cotton wool — pervades the entire body, stilling all feelings of physical and mental discomfort. Keep focused on looking after nothing but the broad, refined breath. The mind is free: No thoughts of past or future disturb it. The mind stands out on its own. The four properties — earth, water, fire and wind — are in harmony throughout the body. You could almost say that they're pure throughout the entire body, because the breath has the strength to control and take good care of the other properties, keeping them harmonious and coordinated. Mindfulness is coupled with singleness of object, which acts as the cause. The breath fills the body. Mindfulness fills the body. Focus on in: The mind is bright and powerful, the body is light. Feelings of pleasure are still. Your sense of the body feels steady and even, with no slips or gaps in your awareness, so you can let go of your sense of pleasure. The manifestations of pleasure grow still, because the four properties are balanced and free from motion. Singleness of object, the cause, has the strength to focus more heavily down, taking you to the fourth jhana. 4. The fourth jhana has two factors: equanimity (upekkha) and singleness of object, or mindfulness. Equanimity and singleness of object on the fourth jhana are powerfully focused — solid, stable and sure. The breath element is absolutely quiet, free from ripples and gaps. The mind, neutral and still, lets go of all preoccupations with past and future. The breath, which forms the present, is still, like the ocean or air when they are free from currents or waves. You can know distant sights, and sounds, because the breath is even and unwavering, and so acts like a movie screen, giving a clear reflection of whatever is projected onto it. Knowledge arises in the mind: You know but stay neutral and still. The mind is neutral and still; the breath, neutral and still; past, present and future are all neutral and still. This is true singleness of object, focused on the unperturbed stillness of the breath. All parts of the breath in the body connect so that you can breathe through every pore. You don't have to breathe through the nostrils, because the in-and-out breath and the other aspects of the breath in the body form a single, unified whole. All aspects of the breath energy are even and full. The four properties all have the same characteristics. The mind is completely still. The focus is strong; the light, aglow. This is to know the great frame of reference. illumines the earth with its rays. The mind sheds light in all directions. The breath is radiant, the mind fully radiant, due to the focusing of mindfulness. The focus is strong; the light, aglow... The mind has power and authority. All four of the frames of reference are gathered into one. There is no sense that, 'That's the body... That's a feeling... That's the mind... That's a mental quality.' There's no sense that they're four, This is thus called the great frame of reference, because none of the four are in any way separate. due to the strength of its focus. Mindfulness and alertness converge into one: This is what is meant by the one path (ekayana-magga) — the concord among the properties and frames of reference, four in one, giving rise to great energy and wakefulness, the purifying inner fire (tapas) that can thoroughly dispel all obscuring darkness. As you focus more strongly on the radiance of the mind, the power that comes from letting go of all preoccupations enables the mind to stand alone. You're like a person who has climbed to the top of a mountain and has the right to see in all directions. The mind's dwelling — the breath, which supports the mind's freedom — is in a heightened state, so the mind is able to see all things fashioned (sankhara) clearly in terms of the Dhamma: as properties (dhatu), khandhas, and sense media (ayatana). Just as a person who has taken a camera up in an airplane can take pictures of practically everything below, so a person who has reached this stage (lokavidu) can see the world and the Dhamma as they truly are. In addition, awareness of another sort, in the area of the mind — called liberating insight, or the skill of release — also appears. The elements or properties of the body acquire potency (kaya-siddhi); the mind, resilient power. When you want knowledge of the world or the Dhamma, focus the mind heavily and forcefully on the breath. As the concentrated power of the mind strikes the pure element, intuitive knowledge will spring up in that element, just as the needle of a record player, as it strikes a record, will give rise to sounds. Once your mindfulness is focused on a pure object, then if you want images, images will appear; if sounds, sounds will arise, whether near or far, matters of the world or the Dhamma, concerning yourself or others, past, present or future — whatever you want to know. As you focus down, think of what you want to know, and it will appear. This is ñana — intuitive sensitivity capable of knowing past, present and future — an important level of awareness that you can know only for yourself. The elements are like radio waves going through the air. If your mind and mindfulness are strong, and your skills highly developed, you can use those elements to put yourself in touch with the entire world, so that knowledge can arise within you. 1. Vipassana-ñana: clear intuitive insight into mental and physical phenomena as they arise, remain and disband. This is a special sort of insight, coming solely from training the mind. It can occur in two ways: (a) knowing without ever having thought of the matter; and (b) knowing from having thought of the matter — but not after a great deal of thought, as in the case of ordinary knowledge. Think for an instant and it immediately becomes clear — just as a piece of cotton wool soaked in gasoline, when you hold a match to it, bursts immediately into flame. The intuition and insight here are that fast, and so differ from ordinary discernment. 2. Manomayiddhi: the ability to use the mind to influence events. 3. Iddhividhi: the ability to display supra-normal powers, e.g., creating images in certain instances that certain groups of people will be able to see. 4. Dibbasota: the ability to hear distant sounds. 5. Cetopariya-ñana: the ability to know the level — good or evil, high or low — of other people's minds. 7. Dibbacakkhu: the ability to see gross and subtle images, both near and far. 8. Asavakkhaya-ñana: the ability to reduce and eliminate the effluents of defilement in the heart. These eight skills come exclusively from the centering the mind, which is why I have written this condensed guide to concentration and jhana, based on the technique of keeping the breath in mind. If you aspire to the good that can come from these things, you should turn your attention to training your own heart and mind. 1. Hetthima-sila: normalcy of word and deed, which consists of three kinds of bodily acts — not killing, not stealing, not engaging in sexual misconduct; and four kinds of speech — not lying, not speaking divisively, not saying anything coarse or abusive, not speaking idly. If we class virtue on this level according to the wording of the precepts and the groups of people who observe them, there are four — the five precepts, the eight, the ten, and the 227 precepts. All of these deal with aspects of behavior that should be abandoned, termed pahana-kicca. At the same time, the Buddha directed us to develop good manners and proper conduct in the use of the four necessities of life — food, clothing, shelter, and medicine — so that our conduct in terms of thought, word, and deed will be orderly and becoming. This aspect is termed bhavana-kicca, behavior we should work at developing. Observance of these precepts or rules — dealing merely with words and deeds — forms the lower or preliminary level of virtue, which is what makes us into full-fledged human beings (manussa-sampatti). a. Anabhijjha-visamalobha: not coveting things that do not belong to you and that lie beyond your scope or powers; not focusing your thoughts on such things; not building what are called castles in the air. The Buddha taught us to tend to the wealth we already have so that it can grow on its own. The wealth we already have, if we use our intelligence and ingenuity, will draw more wealth our way without our having to waste time and energy by being covetous or greedy. For example, suppose we have a single banana tree: If we water it, give it fertilizer, loosen the soil around its roots, and guard it in other ways, our single banana tree will eventually give rise to an increase of other banana trees. In other words, if we're shrewd we can turn whatever wealth we have into a basis for a livelihood. But if we lack intelligence — if our hearts simply want to get, without wanting work — then even if we acquire a great deal of wealth, we won't be able to support ourselves. Thus, greed of this sort, in which we focus our desires above and beyond our capacities, is classed as a wrong kind of mental action. (1) Try to think of whatever ways that person has been good to you. When these things come to mind, they'll give rise to feelings of affection, love, and good will. This is one way. (2) Anger is something worthless, like the scum that floats on the surface of a lake. If we're stupid, we won't get to drink the clean water that lies underneath; or if we drink the scum, we may catch a disease. A person who is bad to you is like someone sunk in filth. If you're stupid enough to hate or be angry with such people, it's as if you wanted to go sit in the filth with them. Is that what you want? Think about this until any thoughts of ill will and anger disappear. c. Samma-ditthi: abandoning wrong views and mental darkness. If our minds lack the proper training and education, we may come to think that we and all other living beings are born simply as accidents of nature; that 'father' and 'mother' have no special meaning; that good and evil don't exist. Such views deviate from the truth. They can dissuade us from restraining the evil that lies within us and from searching for and fostering the good. To believe that there's no good or evil, that death is annihilation, is Wrong View — a product of faulty thinking and poor discernment, seeing things for what they aren't. So we should abandon such views and educate ourselves, searching for knowledge of the Dhamma and associating with people wiser than we, so that they can show us the proper path. We'll then be able to reform our views and make them Right, which is one form of mental uprightness. Virtue on this level, when we can maintain it well, will qualify us to be heavenly beings. The qualities of heavenly beings, which grow out of human values, will turn us into human beings who are divine in our virtues, for to guard our thoughts, words, and deeds means that we qualify for heaven in this lifetime. This is one aspect of the merit developed by a person who observes the middle level of virtue. (1) Kamachanda: affection, desire, laxity, infatuation. (2) Byapada: ill will and hatred. (3) Thina-middha: discouragement, drowsiness, sloth. (4) Uddhacca-kukkucca: restlessness and anxiety. (5) Vicikiccha: doubt, uncertainty, indecision. (1) Ill will (byapada) lies at the essence of killing (panatipata), for it causes us to destroy our own goodness and that of others — and when our mind can kill off our own goodness, what's to keep us from killing other people and animals as well? (2) Restlessness (uddhacca) lies at the essence of taking what is not given (adinnadana). The mind wanders about, taking hold of other people's affairs, sometimes their good points, sometimes their bad. To fasten onto their good points isn't too serious, for it can give us at least some nourishment. As long as we're going to steal other people's business and make it our own, we might as well take their silver and gold. Their bad points, though, are like trash they've thrown away — scraps and bones, with nothing of any substance — and yet even so we let the mind feed on them. When we know that other people are possessive of their bad points and guard them well, and yet we still take hold of these things to think about, it should be classed as a form of taking what isn't given. (3) Sensual desires (kamachanda) lie at the essence of sensual misconduct. The mind feels an attraction for sensual objects — thoughts of past or future sights, sounds, smells, tastes, or tactile sensations — or for sensual defilements — passion, aversion, or delusion — to the point where we forget ourselves. Mental states such as these can be said to overstep the bounds of propriety in sensual matters. (4) Doubt (vicikiccha) lies at the essence of lying. In other words, our minds are unsure, with nothing reliable or true to them. We have no firm principles and so drift along under the influence of all kinds of thoughts and preoccupations. (5) Drowsiness (thina-middha) is intoxication — discouragement, dullness, forgetfulness, with no mindfulness or restraint watching over the mind. This is what it means to be drugged or drunk. (1) Mindfulness (sati): Start out by thinking of an object, such as your in-and-out breathing. Use mindfulness to steady the mind in its object. Vitakka, thinking in this way, is what kills off sensual desires, in that the discipline of mindfulness keeps the mind from slipping off into external objects. (2) Vicara: Evaluate and be observant. Make yourself aware of whether or not you've received a sense of comfort and relaxation from your breathing. If not, tend to the breath and adjust it in a variety of ways: e.g., in long and out long, in long and out short, in short and out short, in short and out long, in slow and out slow, in fast and out fast, in gently and out gently, in strong and out strong, in throughout the body and out throughout the body. Adjust the breath until it gives good results to both body and mind, and you'll be able to kill off feelings of ill will and hatred. (3) Piti: When you get good results — for instance, when the subtle breath sensations in the body merge and flow together, permeating the entire sense of the body — the breath is like an electric wire; the various parts of the body, such as the bones, are like electricity poles; mindfulness and self-awareness are like a power source; and awareness is thus bright and radiant. Both body and mind feel full and satisfied. This is piti, or rapture, which can kill off feelings of drowsiness. (4) Sukha: Now that feelings of restlessness and anxiety have disappeared, a sense of pleasure and ease for body and mind arises. This pleasure is what kills off restlessness. (5) Ekaggata: Doubts and uncertainty fade into the distance. The mind reaches oneness of object in a state of normalcy and equilibrium. This normalcy of mind, which is maintained through the power of the discipline of mindfulness (sati-vinaya), forms the essence of virtue: firmness, steadiness, stability. And the resulting flavor or nourishment of virtue is tranquillity, light-heartedness, and a sense of independence for the mind. When freedom of this sort arises within us, this is called the development of silanussati, the mindfulness of virtue. This is virtue that attains excellence — leading to the paths, their fruitions, and nibbana — and thus can be called uparima-sila, higher virtue. 1. Mundane virtue: virtue connected with the world, in which we maintain the principles of ordinary human morality but are as yet unable to reach the transcendent levels: stream-entry, once-returning, nonreturning, and arahantship. We can't yet cut the Fetters (sanyojana) that tie the heart to the influences of all the worlds. This is thus called mundane virtue. a. Sakkaya-ditthi (self-identity views): views that see the body or the aggregates as part of the self or as belonging to the self. Ordinarily, we may be convinced that views of this sort are mistaken, yet we can't really abandon them. But when we clearly see that they're wrong for sure, this is called Right View — seeing things as they truly are — which can eliminate such wrong views as seeing the body as belonging to the self, or the self as the five aggregates, or the five aggregates as part of the self. b. Vicikiccha: doubt concerning what's genuine and true, and what's counterfeit and false. The power of Right View enables us to see that the quality to which we awaken exists at all times; and that the true qualities that cause us to awaken also exist and are made effective through the power of the practices we're following. Our knowledge is definite and true. Our doubts concerning the virtues of the Buddha, Dhamma, and Sangha are cleared up for good. This is called becoming a niyata-puggala, a person who is certain and sure. c. Silabbata-paramasa: When the heart abandons this Fetter, it no longer dotes on theories concerning moral virtue; it's no longer stuck merely on the level of manners and actions. Good and evil are accomplished through the heart; activities and actions are something separate. Even though people who reach this level do good — taking the precepts, making gifts and offerings, or meditating in line with the good customs of the world — they're not caught up on any of these things, because their hearts have reached the nourishment of virtue. They aren't stuck on the particulars (byañjana), i.e., their actions and activities; nor are they stuck on the purpose (attha), i.e., the meaning or intent of their various good manners. Their hearts dwell in the nourishment of virtue: tranquillity, stability, normalcy of mind. Just as a person who has felt the nourishment that comes from food permeating his body isn't stuck on either the food or its flavor — because he's received the benefits of the nourishment it provides — in the same way, the hearts of people who have reached the essence of virtue are no longer stuck on actions or manners, particulars or purposes, because they've tasted virtue's nourishment. This is thus classed as transcendent virtue, the first stage of nibbana. Even though such people may be destined for further rebirth, they're apart from the ordinary. Anyone whose practice reaches this level can be counted as fortunate, as having received dependable wealth, like ingots of gold. Just as gold can be used as currency all over the world because it has special value for all human beings — unlike paper currency, whose use is limited to specific countries — in the same way, a heart that's truly attained virtue has a value in this life that will remain constant in lives to come. Thus, a person who has reached this level has received part of the Noble Wealth of those who practice the religion. 1. Kamavacara-khanika-samadhi: (momentary concentration in the sensory realm): The mind keeps thinking, coming to rest, and running along after worthwhile preoccupations — either internal or external — on the sensory level (kamavacara-kusala): sights, sounds, smells, flavors, tactile sensations, or ideas. An example of this is when the mind becomes quiet and rested for a moment as we sit listening to a sermon or chanting. In other words, the mind grows still for momentary periods in the same way that a person walks: One foot takes a step while the other foot rests on the ground, providing the energy needed to reach one's goal. This is thus called momentary concentration, something possessed by people all over the world. Whether or not we practice concentration, the mind is always behaving this way by its very nature. This is called the 'bhavanga-citta' or 'bhavanga-pada': The mind stops for a moment and then moves on. In developing higher levels of concentration, we have to start out with this ordinary level as our basis. Otherwise, the higher levels probably wouldn't be possible. Still, this level of concentration can't be used as a basis for discernment, which is why we have to go further in our practice. 2. Rupavacara-upacara-samadhi (threshold concentration in the realm of form): This refers to the first jhana, in which the mind comes inward to rest on a single preoccupation within the body, fixing its attention, for example, on the in-and-out breath. When the mind stays with its one object, this is called ekaggata. At the same time, there's mindfulness keeping the breath in mind: This is called vitakka. The mind then adjusts and expands the various aspects of the breath throughout the entire body, evaluating them mindfully with complete circumspection: This is called self-awareness (sampajañña) or vicara, which is the factor aware of causes and results. Mindfulness, the cause, is what does the work. Thus vitakka and vicara cooperate in focusing on the same topic. We are then aware of the results as they arise — feelings of fullness, pleasure, and ease (piti and sukha) for body and mind. At this point, the mind lets down its burdens to rest for a while, like a person walking along who meets with something pleasing and attractive, and so stops to look: Both feet are standing still, stepping neither forward nor back. If we aren't skilled enough to go on any further, we will then retreat. If we see results — such as signs and visions — arising in the mind, we may get excited and so cause our original preoccupation to waver or fade. Like a person sitting on a chair: If he sees something appealing in front of him, he may become so interested that he leans forward and reaches out his hand; he may even begin to budge a bit from his seat or stand up completely. In the same way, if we get engrossed in visions, thoughts, or views when we're engaged in threshold concentration, we can become excited and pleased — we may even think that we've reached the transcendent — and this can cause our concentration to degenerate. If we try to do it again and can't, we may then seize the opportunity to say that we've gone beyond the practice of concentration, so that we can now take the way of discernment — thinking, pondering, and letting go in line with nothing more than our own views and ideas. This, though, is not likely to succeed, because our knowledge has no firm basis or core, like a wheel with no axle or hub: How can it get anywhere? The power of threshold concentration, if we don't watch after it well, is bound to deteriorate, and we'll be left with nothing but old, left-over concepts. 3. Rupavacara-appana-samadhi (fixed penetration in the realm of form): This refers to the practice of all four levels of rupa jhana. The first jhana has five factors: thinking, evaluating, fullness, pleasure, and singleness of object. The second level has three: fullness, pleasure, and singleness of object. The third has two: pleasure and singleness of object; and the fourth has two: equanimity and singleness of object. Fixed penetration in the realm of form means that the mind focuses on the internal sense of the body, remaining steadily with a single object — such as the in-and-out breath — until it reaches jhana, beginning with the first level, which is composed of thinking, evaluating, fullness, pleasure, and singleness of object. When you see results arising, focus in on those results and they will then turn into the second level, which has three factors: fullness, pleasure and singleness of object. As your focus becomes stronger, it causes the sense of fullness to waver, so you can now let go of that sense of fullness, and your concentration turns into the third jhana, in which only two factors are left: pleasure and singleness of object. The mind has few burdens; its focus is strong and the sense of inner light is radiant. This causes the feeling of pleasure to waver, so that you can let go of that sense of pleasure, and the mind attains oneness in a very subtle preoccupation. The preoccupation doesn't waver and neither does the mind. It stands firm in its freedom. This is called equanimity and singleness of object, which form the fourth jhana. Mindfulness is powerful. Self-awareness is complete. Both are centered on a single preoccupation without getting snagged on any other allusions or perceptions. This mental state is called the fourth jhana, which has two factors: Equanimity, or stillness, is the external attitude of the mind; as for the real factors, they're mindfulness and singleness, steady and firm. The mind experiences a sense of brightness, the radiance that comes from its state of fixed penetration. Mindfulness and self-awareness are circumspect and all-round, and so give rise to skill and proficiency in practicing jhana — in focusing, staying in place, stepping through the various levels, withdrawing, going back and forth. When the mind behaves as you want it to, no matter when you practice, only then does this truly qualify as fixed penetration, the basis for the arising of three qualities: intuitive knowledge (ñana), discernment (pañña), and cognitive skill (vijja). Pubbenivasanussati-ñana: the ability to remember previous lives. Cutupapata-ñana: the ability to focus on the death and rebirth of other living beings — sometimes in good destinations, sometimes in bad — together with the causes that lead them to be reborn in such ways. This gives rise to a sense of weariness and disenchantment with sensations and mental acts, body and mind. Asavakkhaya-ñana: knowing how to put an end to the defilements of the heart in accordance with the knowledge — the clear vision of the four Noble Truths — that accompanies the particular transcendent path reached. And there are still other forms of extraordinary knowledge, such as iddhividhi, the ability to display supernormal powers, to make an image of oneself appear to other people; dibbasota, clairaudience; dibbacakkhu, clairvoyance — i.e., the ability to see objects at tremendous distances. Attha-patisambhida: acumen with regard to aims and results; thorough-going comprehension of cause and effect; knowing, for example, how stress is caused by ignorance and craving, and how the disbanding of stress is caused by the intuitive discernment that forms the Path; comprehending the meaning and aims of the Buddha's various teachings and knowing how to explain them so that other people will understand — being able, for instance, to summarize a long passage without distorting its meaning. Dhamma-patisambhida: acumen with regard to mental qualities; knowing how to explain deep and subtle points so that other people will understand. Nirutti-patisambhida: acumen with regard to different languages. According to the texts, this includes knowing foreign languages and the languages of various other living beings by means of the eye of discernment (pañña cakkhu). Patibhana-patisambhida: acumen with regard to expression; being fluent in making explanations and quick-witted in debate; knowing the most strategic way to express things. All of these forms of discernment can arise from training the mind to attain fixed penetration. Vijja — clear, open knowledge, free from any further concealments; and aloka — brilliance, radiance streaming out in all directions — enable us to see the true nature of sensations and mental acts, in accordance with our powers of intuitive discernment. (1) Vipassana-ñana: clear comprehension of physical sensations and mental acts (rupa, nama). (2) Manomayiddhi: psychic powers, influencing events through the power of thought. (3) Iddhividhi: the ability to display powers, making one's body appear in a variety of ways. (6) Cetopariya-ñana: the ability to know the mental states of other people. (7) Pubbenivasanussati-ñana: the ability to remember previous lives. (8) Asavakkhaya-ñana: the ability to put an end to the effluents that defile the heart. Thus, jhana on the level of fixed penetration is extremely important. It can give us support on all sides — on the level of the world and of the Dhamma — and can bring success in our various activities, both in our worldly affairs and in our Dhamma duties, leading us on to the transcendent. 1. That which gives rise to mundane knowledge: This is termed mundane concentration. 2. That which helps us to fulfill our duties on the level of the Dhamma, leading to vipassana-ñana or asavakkhaya-ñana, the knowledge that enables us — in accordance with the discernment and insight that arise — to abandon or cut off completely the mental tendencies that lean in the direction of the Fetters: This is termed transcendent concentration. 1. Sutamaya-pañña: discernment that comes from studying. 2. Cintamaya-pañña: discernment that comes from reflecting. 3. Bhavanamaya-pañña: discernment that comes from developing the mind. l. Sutamaya-pañña refers to the discernment that comes from having listened a great deal, like the Venerable Ananda. Listening here, though, includes studying and taking interest in a variety of ways: paying attention, taking notes, asking questions, and taking part in discussions so as to become quick-witted and astute. Education of all kinds comes down to two sorts: (a) learning the basic units, such as the letters of the alphabet, their sound and pronunciation, so as to understand their accepted usage; and (b) learning how to put them together — for instance, how to combine the letters so as to give rise to words and meanings — as when we complete our elementary education so that we won't be at a loss when we're called on to read and write in the course of making a living. In the area of the religion, we have to study the letters of the Pali alphabet, their combinations, their meanings, and their pronunciation. If we don't understand clearly, we should take an interest in asking questions. If we have trouble memorizing, we should take an interest in jotting down notes as a way of aiding our memory and expanding our concepts. In addition, we have to study by means of our senses. For example, when we see a visual object, we should find out its truth. When we hear sounds or words, we should find out their truth. When we smell an aroma, we should consider it to see what it comes from. We should take an interest in flavors so that we know what they come from, and in tactile sensations — the heat and cold that touch the body — by studying such things as the way weather behaves. All of these forms of education are ways of giving rise to astuteness — both in the area of the world and in the area of the Dhamma — because they constitute a basic level of knowledge, like the primary education offered in schools. 2. Cintamaya-pañña refers to thinking and evaluating so as to learn the meaning and truth of one's beginning education. This level of education draws out the meaning of the knowledge we have gained through studying. When we gain information, we should reflect on it until we understand it so that we will be led by our sense of reason and not by gullibility or ignorance. This is like a person who has used his knowledge of the alphabet to gain knowledge from books to complete his secondary education. Such a person has reached the level where he can think things through clearly. In the area of the Dhamma, the same holds true. Once we have learned the basics, we should research and think through the content of the Teaching until we give rise to an understanding so that we can conduct ourselves correctly in line with the methods and aims taught by the sages of the past. This level of discernment is what prepares us to conduct ourselves properly in line with the true essence of the Doctrine and Discipline. This is classed as an aspect of pariyatti dhamma, Dhamma on the level of theory. By learning the language and meaning of the Teaching, we can become astute as far as theory is concerned; but if we don't use that knowledge to train ourselves, it's as if we studied a profession — such as law — but then went out to become bandits, so that our knowledge wouldn't give its proper results. For this reason, we've been taught still another method, which is the well-spring of discernment or mastery — i.e., the mental activity termed bhavanamaya-pañña. 3. Bhavanamaya-pañña: discernment that arises exclusively from the practice of concentration. In other words, this level of discernment isn't related to the old observations we have gained from the past, because our old observations are bound to obscure the new observations, endowed with the truth, that can arise only right at the mind. When you engage in this form of practice, focus exclusively on the present, taking note of a single thing, not getting involved with past or future. Steady the mind, bringing it into the present. Gather virtue, concentration, and discernment all into the present. Think of your meditation object and bring your powers of evaluation to bear on it — say, by immersing mindfulness in the body, focusing on such objects as the in-and-out breath. When you do this, knowledge will arise. 'Ñanam udapadi': Intuitive knowledge of things we have never before studied or known will appear. For example: pubbenivasanussati-ñana — the ability to remember our present life and past lives; cutupapata-ñana — the ability to know living beings as they die and are reborn — well or poorly, happily or miserably — knowing the causes and results of how they fare; asavakkhaya-ñana — the ability to cleanse ourselves of the effluents that defile the mind, thinning them out or eliminating them altogether, as we are able. These three forms of knowledge don't arise for people who simply study or think things through in ordinary ways. They form a mental skill that arises from the practice of concentration and are an aspect of Dhamma on the level of practice (patipatti-dhamma). Another aspect — 'pañña udapadi': Clear discernment of the true nature of the properties (dhatu), aggregates, and sense media arises. We can focus on these things by way of the mind and know them in terms of the four Noble Truths: stress (dukkha), which arises from a cause (samudaya), i.e., ignorance and craving; and then nirodha, the ceasing and disbanding of stress, which occurs as the result of a cause, i.e., the Path (magga), composed of practices for the mind. These things can be known by means of the discernment that arises exclusively and directly within us and is termed the eye of discernment or the eye of Dhamma: the eye of the mind, awakening from its slumbers. 'Vijja udapadi': The eight forms of cognitive skill, which follow the laws of cause and effect — means of practice that bring us results — can arise in a quiet mind. 'Aloko udapadi': Brightness, clarity, relief, and emptiness arise in such a mind. Thus, the discernment that results from developing the mind differs from the beginning stages of discernment that come from studying and reflecting. Study and reflection are classed as Dhamma on the level of theory, and can give only a preliminary level of knowledge. They're like a person who has awakened but has yet to open his eyes. The discernment that comes from developing the mind, though, is like waking up and seeing the truth — past, present, and future — in all four directions. We can clearly see stress, its cause, its disbanding, and the Path to its disbanding, and so can abandon the first set of Fetters. Our hearts will then flow to nibbana, just as the water in a mountain cataract is sure to flow to the sea. Our hearts will flow to their natural truth: the mental fullness and completeness of a person who has practiced mental development until discernment arises within. We will meet with a special form of wisdom — transcendent wisdom — whose power will stay with us always, a quality that's certain and sure, termed certain truth, certain wisdom, making us people certain for nibbana. So this level of discernment — termed the discernment of liberating insight — is especially important. It arises on its own, not from cogitating along the lines of old concepts we've learned, but from abandoning them. Old concepts are what obscure the new knowledge ready to arise. The nature of liberating insight is like an electric light: Simply press the switch once, and things all around are made bright. In the same way, when the mind reaches a stage of readiness, insight will arise in a single mental instant, and everything will become clear: properties, aggregates, and the sense media. We'll know, on the one hand, what's inconstant (aniccam), stressful (dukkham), and not-self (anatta); and on the other hand, what's uncommon, i.e., niccam — what's constant and true; sukham — true happiness, termed niramisa-sukha; and atta — the self. The eye of the mind can know both sides and let go both ways. It's attached neither to what's inconstant, stressful, and not-self; nor to what's constant (niccam), good (sukham), and right (atta). It can let these things go, in line with their true nature. The knowledge that comes from discernment, cognitive skill, and intuitive insight, it can let go as well. It isn't attached to views — for there's yet another, separate sort of reality that has no 'this' or 'that.' In other words, it has no sense of 'I.' It lets go of the assumptions that, 'That's the self,' 'That's not the self,' 'That's constant,' 'That's inconstant,' 'That arises,' 'That doesn't arise.' It can let go of these things completely. That's the Dhamma, and yet it doesn't hold onto the Dhamma, which is why we say that the Dhamma is not-self. It also doesn't hold on to the view that says, 'not-self.' It lets go of views, causes, and effects, and isn't attached to anything at all dealing with wordings or meanings, conventions or practices. This, then, is discernment that arises from the development of the mind. 1. Mundane discernment: comprehension — of the world and the Dhamma — falling under mundane influences and subject to change. Insight isn't something that can be taught. It's something you have to give rise to within yourself. It's not something you simply memorize and talk about. If we were to teach it just so we could memorize it, I can guarantee that it wouldn't take five hours. But if you wanted to understand one word of it, three years might not even be enough. Memorizing gives rise simply to memories. Acting is what gives rise to the truth. This is why it takes effort and persistence for you to understand and master this skill on your own. When insight arises, you'll know what's what, where it's come from, and where it's going — as when we see a lantern burning brightly: We know that, 'That's the flame... That's the smoke.. That's the light.' We know how these things arise from mixing what with what, and where the flame goes when we put out the lantern. All of this is the skill of insight. Some people say that tranquillity meditation and insight meditation are two separate things — but how can that be true? tranquillity meditation is 'stopping,' insight meditation is 'thinking' that leads to clear knowledge. When there's clear knowledge, the mind stops still and stays put. They're all part of the same thing. Knowing has to come from stopping. If you don't stop, how can you know? For instance, if you're sitting in a car or a boat that is traveling fast and you try to look at the people or things passing by right next to you along the way, you can't see clearly who's who or what's what. But if you stop still in one place, you'll be able to see things clearly. Or even closer to home: When we speak, there has to be a pause between each phrase. If you tried to talk without any pauses at all, would anyone be able to understand what you said? This is why we first have to make the mind stop to be quiet and still. When the mind stays still in a state of normalcy, concentration arises and discernment follows. This is something you have to work at and do for yourself. Don't simply believe what others say. Get so that you know 'Oh! Oh! Oh!' from within, and not just 'Oh? Oh? Oh?' from what people say. Don't take the good things they say and stick them in your heart. You have to make these things your own by getting them to arise from within you. Spending one dollar of your own money is better than spending 100 dollars you've borrowed from someone else. If you use borrowed money, you have to worry because you're in debt. If you use your own money, there's nothing to worry about. Stopping is what gives rise to strength. If a man is walking or running, he can't put up a good fight with anyone, because the advantage lies with the person standing still, not with the person walking or running. This is why we're taught to make the mind stop still so that it can gain strength. Then it will be able to start walking again with strength and agility. It's true that we have two feet, but when we walk we have to step with one foot at a time. If you try to step with both feet at once, you won't get anywhere. Or if you try to walk with just one foot, you can't do that either. When the right foot stops, the left foot has to take a step. When the left foot stops, the right foot has to take a step. You have to stop with one foot and step with the other if you're going to walk with any strength because the strength comes from the foot that has stopped, not from the foot taking a step. One side has to stop while the other side takes a step. Otherwise, you'll have no support and are sure to fall down. If you don't believe me, try stepping with both feet at once and see how far you get. In the same way, tranquillity and insight have to go together. You first have to make the mind stop in tranquillity and then take a step in your investigation: This is insight meditation. The understanding that arises is discernment. To let go of your attachment to that understanding is release. So stopping is the factor that gives rise to strength, knowledge, and discernment — the fixed mind that knows both the world and the Dhamma in a state of heightened virtue, heightened consciousness, and heightened discernment leading on to the transcendent. The all-around knowing that arises within us comes from causes and effects, not from what we read in books, hear other people tell us, or conjecture on our own. Suppose we have some silver coins in our pocket. If all we know is that other people tell us it's money, we don't know its qualities. But if we experiment with it and put it in a smelter to see what it's made of and to see how it can be made into other things, that's when we'll know its true qualities. This is the kind of knowledge that comes from our own actions. This knowledge, when we meditate, comes in five forms. We find within ourselves that some things are caused by the properties of the body, some are caused by the mind, some causes come from the mind but have an effect on the body, some causes come from the body but have an effect on the mind, some causes come from the body and mind acting together. This kind of knowledge is discernment. So we have to learn from virtue, concentration, and discernment by giving rise to them. If we don't, we'll suffer from unawareness and delusion. C. The mind in and of itself. 'The mind inside' refers to a state exclusively in the heart when it isn't involved with any outer preoccupations. 'The mind outside' refers to its interaction with such outer preoccupations as sights, sounds, etc. 'The mind in and of itself' refers to the act of singling out any aspect of the mind as it appears, whether inside or out. 1. Raga-citta: a mental state infused with desire or passion. 2. Dosa-citta: a sense of inner irritation and displeasure. 3. Moha-citta: a cloudy, murky or confused state of mind, in which it is unable to consider anything; in short, delusion. The mind outside is divided into the same three aspects — states of passion, irritation and delusion — but these are said to be 'outside' because once any of these aspects arises, it tends to go out and latch onto an outer preoccupation that simply serves to further aggravate the original state of passion, irritation or delusion. The mind then doesn't clearly or truly understand its objects. Its knowledge goes off in various directions, away from the truth: seeing beauty, for instance, in things that aren't beautiful, constancy in things that are inconstant, pleasure in things that are painful, and self in things that are not-self. All of these things are aspects of the mind outside. 'The mind in and of itself' refers to the act of singling out any one of these aspects of the mind. For example, sometimes passion arises, sometimes anger, sometimes delusion: Whichever aspect may be arising in the present, single it out. With your alertness firmly in place, be mindful of that aspect of the mind, without making reference to any other objects — and without letting any hopes or wants arise in that particular mental moment at all. Then focus unwaveringly on investigating that state of mind until you know its truth. The truth of these states is that sometimes, once they've arisen, they flare up and spread; sometimes they die away. Their nature is to arise for a moment and then dissolve away with nothing of any substance or worth. When you are intent on examining things in this way — with your mindfulness, alertness, and powers of focused investigation firmly in place — then none of these defilements, even though they may be appearing, will have the chance to grow or spread. This is like the baskets or jars used to cover new lettuce plants: If no one removes the baskets, the plants will never have a chance to grow, and will simply wither away and die. Thus you have to keep your alertness right with each mental state as it arises. Keep mindfulness constantly referring to its object, and use your powers of focused investigation to burn into those defilements so as to keep them away from the heart at all times. To put this another way, all of the mental states mentioned above are like lettuce or green-gram seeds. Mindfulness is like a basket. Alertness is the person who scatters the seeds, while the power of focused investigation is the heat of the sun that burns them up. So far, we have mentioned only bad mental states. Their opposites are good mental states: viraga-citta — the mind free from the grip of passion; adosa-citta — the mind free from the annoyance or anger that can lead to loss and ruin; amoha-citta — the mind free from delusion, intoxication and misunderstandings. These are skillful states of mind (kusala-citta), which form the root of all that is good. When they arise, maintain them and observe them so that you can come to know the level of your mind. 1. Kamavacara-bhumi: the level of sensuality. 2. Rupavacara-bhumi: the level of form. 3. Arupavacara-bhumi: the level of formlessness. 4. Lokuttara-bhumi: the transcendent level. 1. The level of sensuality: A mental state arises and connects with a wholesome object — any sight, sound, smell, taste, tactile sensation or idea that can form the basis for skillful mental states. When it meets with its object, it becomes happy, joyful, and glad. (Here we're referring only to those sensory objects that are good for the mind.) If you were to refer to the Heavens of Sensual Bliss as they appear within each of us, the list would run as follows: Sights that can form the basis for skillful mental states are one level, sounds are another, and same with smells, tastes, tactile sensations and ideas. Together they form the six levels of heaven on the sensual level. 2. The level of form: A mental state arises from thinking about (vitakka) a physical object that serves as the theme of one's meditation; and then analyzing (vicara) the object into its various aspects, at the same time making sure that the mind doesn't slip away from the object (ekaggatarammana). When the mind and its object are one in this way, the object becomes light. The mind is unburdened and can relax its sense of concern. Rapture (piti) and ease (sukha) arise as a result. When these five factors appear in the mind, it has entered the first jhana — the beginning stage in the level of form. 3. The level of formlessness: The mind lets go of its physical object on the level of form, but is still attached to a very subtle mental notion — the jhana of unbounded space, for instance, in which you are focused on a sense of emptiness and awareness with no physical object or image passing into your field of attention, so that you are unable to know its full range. What has actually happened is that you have curled up and are hiding inside. This isn't the kind of 'going in to know' that comes from finishing your work. It's the 'going in to know' that comes from wanting to run away. You've seen the faults of what arises outside you, but haven't seen that they really lie buried within you — so you've hidden inside by limiting the field of your attention. Some people, when they reach this point, believe that they have done away with defilement, because they mistake the emptiness for nibbana. Actually, it's only the first stage in the level of formlessness, and so is still on the mundane level. If you seriously want to know whether your mind is on the mundane or the transcendent level, then observe it when you turn your awareness inward and make it still — when you feel a sense of peace and ease that seems to have no defilements adulterating it at all. Let go of that mental state, to see how it behaves on its own. If defilements can reappear, you're still on the mundane level. Sometimes that mental state remains unchanged through the power of your own efforts, but after a while you become unsure of your knowledge. Your mind has to keep fondling, i.e., making a running commentary on it. When this is the case, don't go believing that your knowledge is in any way true. There are many, many kinds of knowledge: The intellect knows, the heart knows, the mind knows, consciousness knows, discernment knows, alertness knows, awareness knows, unawareness knows. All these modes are based on knowledge; they differ simply in how they know. If you aren't able to distinguish clearly among the different modes of knowing, knowing can become confused — and so you might take wrong knowing to be right knowing, or unawareness to be awareness, or knowledge attached to suppositions (sammuti) to be freedom from suppositions (vimutti). Thus you should experiment and examine things carefully from all angles so that you can come to see for yourself which kind of knowledge is genuine, and which is counterfeit. Counterfeit knowledge, merely knows, but can't let go. Genuine knowledge, when it goes about knowing anything, is bound to let go. All three levels of the mind discussed so far are on the mundane level. a. Self-identification (sakkaya-ditthi): the view that leads us to believe that the body is our own. b. 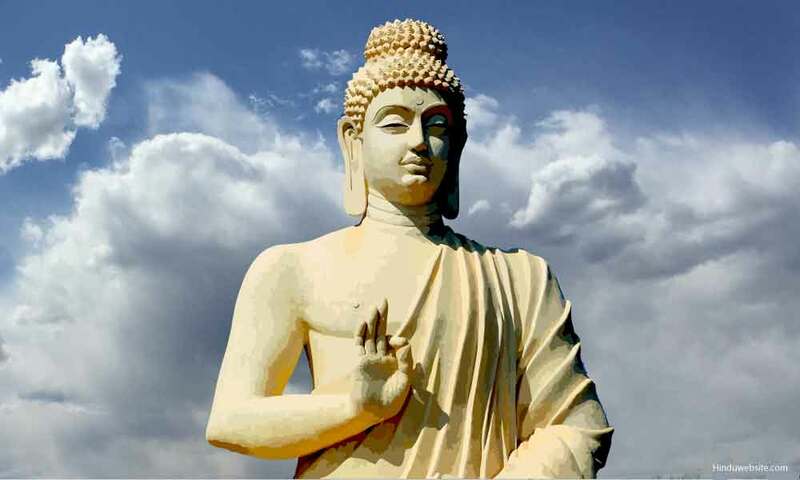 Doubt (vicikiccha): the uncertainty that leads us to be unsure of the good we believe in — i.e., of how much truth there is to the Buddha, Dhamma and Sangha. This is what is meant by 'stream-winner'. (1) The lowest level of stream-winner is like a boatsman who leans back with his hand simply placed on the rudder. This level of stream-winner reaches the goal slowly. (2) The second level is like a boatsman who has his foot on the rudder, his hands on the oars, and rows along. (3) The third level: The boat is equipped with a motor and the boatsman is at the steering wheel, and so he reaches the goal in practically no time at all. This — reaching the stream to nibbana — is the beginning stage of the transcendent level. If you were to simplify the three Fetters, you could do so as follows: To be attached to the body as being one's own is self-identification. To be attached to the actions of the body is attachment to precepts and practices. Not knowing how to separate the mind from the body or from one's actions makes one unable to see clearly and know truly: This leads to uncertainty and doubt. These are simply my opinions on the matter, so you who read this should consider things carefully on your own. This ends the discussion of the transcendent and mundane skillful states of mind. When you know the characteristics of the various mental states, you should use the three qualities mentioned above as your tools: Keep your mindfulness, alertness, and powers of focused investigation firmly in place at the mind. To be able to gain knowledge, you have to use the power of focused investigation, which is an aspect of discernment, to know how mental states arise and fall: pulling out, taking a stance, and then returning into stillness. You must keep your attention fixed on investigating these things constantly in order to be able to know the arising and falling away of mental states — and you will come to know the nature of the mind that doesn't arise and doesn't fall away. To know the arising and falling away of mental states of the past is one level of cognitive skill (vijja), and deserves to be called 'knowledge of previous births.' To know the states of the mind as they change in the present deserves to be called 'knowledge of death and rebirth.' To know how to separate mental states from their objects, knowing the primal nature of the mind, knowing the current or force of the mind that flows to its objects; separating the objects, the current of mind that flows, and the primal nature of the mind: To be able to know in this way deserves to be called 'knowledge of the ending of mental effluents.' The objects or preoccupations of the mind are the effluent of sensuality. The current that flows is the effluent of becoming. Not knowing the primal nature of the mind is the effluent of unawareness. If we were to express this in terms of the four Noble Truths, we would have to do so as follows: The objects or preoccupations of the mind are the truth of stress (dukkha-sacca). The current of the mind that flows into and falls for its objects is the truth of the cause of stress (samudaya-sacca). The mental state that penetrates in to see clearly the truth of all objects, the current of the mind, and the primal nature of the mind, is called the mental moment that forms the Path (magga-citta). To let go of the objects, the mental current, and the primal nature of the mind, without any sense of attachment, is the truth of the disbanding of stress (nirodha-sacca). When the three qualities that assist the mind — alertness, mindfulness, and focused investigation — are vigorous and strong, alertness becomes the awareness of release (vijja-vimutti), mindfulness becomes intuitive understanding (ñana), and focused investigation becomes liberating insight (vipassana-ñana), the discernment that can stay fixed on knowing the truth of stress without permitting any sense of pleasure or displeasure for its object to arise. Intuitive understanding fathoms the cause of stress, and the awareness of release knows the heart clearly all the way through. When you can know in this way, you can say that you know rightly. (1) The primal nature of the mind. (3) Mental states in interaction with their objects. As the Buddha taught, there are only two paths to practice — the body, speech, and heart; and the body, speech, and mind — and in the end both paths reach the same point: Their true goal is release. So if you want to know the truth concerning any of the above issues, you have to follow the path and reach the truth on your own. Otherwise, you'll have to argue endlessly. These issues — for people who haven't practiced all the way to clear insight — have been termed by people of wisdom as sedamocana-katha: issues that can only make you break out in a sweat. So I would like to make a short explanation: The primal nature of the mind is a nature that simply knows. The current that thinks and streams out from knowing to various objects is a mental state. When this current connects with its objects and falls for them, it becomes a defilement, darkening the mind: This is a mental state in interaction. Mental states, by themselves and in interaction, whether good or evil, have to arise, have to disband, have to dissolve away by their very nature. The source of both these sorts of mental states is the primal nature of the mind, which neither arises nor disbands. It is a fixed phenomenon (thiti-dhamma), always in place. By the primal nature of the mind — which is termed 'pabhassara,' or radiant — I mean the ordinary, elementary state of knowing in the present. But whoever isn't able to penetrate in to know it can't gain any good from it, like the proverbial monkey with the diamond. Thus the name given by the Buddha for this state of affairs is really fitting: avijja — dark knowledge, counterfeit knowledge. This is in line with the terms 'pubbante aññanam' — not knowing the beginning, i.e., the primal nature of the mind; 'parante aññanam' — not knowing the end, i.e., mental states in interaction with their objects; 'majjhantika aññanam' — not knowing the middle, i.e., the current that streams from the primal nature of knowing. When this is the case, the mind becomes a sankhara: a concoctor, a magician, fabricating prolifically in its myriad ways. This ends the discussion of the mind as a frame of reference. In other words, keep death in mind. This is where the mind advances to the development of liberating insight, taking death as its theme. 'Death' here refers to the death occurring in the present — physical sensations arising and passing away, mental acts arising and passing away, all in a moment of awareness. Only when you're aware on this level can you be classed as being mindful of death. Now that we've brought up the topic of death, we have to reflect on birth, seeing how many ways sensations are born and how many ways mental acts are born. This is something a person with a quiet mind can know. 1. Hina-rupa: coarse sensations, sensations of discomfort, aches and pains. When these arise, focus on what causes them until they disappear. 3. Sukhumala-rupa: delicate sensations, tender, yielding, and agile. When they arise, focus on what causes them until they disappear. All four of these sensations arise and disband by their very nature; and it's possible to find out where they first appear. 5. 'Mano-bhava': imagined circumstances that appear through the power of the mind. When they arise, focus on keeping track of them until they disappear. Once you're able to know in this way, you enter the sphere of true mindfulness of death. An explanation of this sort of sensation: When the mind is quiet and steadily concentrated, it has the power to create images in the imagination (inner sensations, or sensations within sensations). Whatever images it thinks of will then appear to it; and once they appear, the mind tends to enter into them and take up residence. (It can go great distances.) If the mind fastens onto these sensations, it is said to take birth — simply because it has no sense of death. e. arising from the heart's pumping blood into the various parts of the body, the pressure of the blood causing sensations to arise that correspond to sights, sounds, smells, tastes, and tactile sensations. Sensations of this sort are arising and disbanding every moment. Another class of sensation is termed 'gocara-rupa' — sensations that circle around the physical body. There are five sorts — light, sound, smells, tastes, and tactile sensations — each having five levels. For instance, common light travels slowly; in the flash of an eye it runs for a league and then dies away. The second level, subtle light, goes further; and the third level goes further still. The fourth and fifth levels can travel the entire universe. The same holds true for sounds, smells, tastes, and tactile sensations. The relationships between all the potentials in the universe are interacting at every moment, differing only as to whether they're fast or slow. This is the inequality that has been termed 'anicca-lakkhana' — inherent inconstancy. Whoever is ignorant is bound to think that all this is impossible, but actually this is the way things already are by their nature. We'll come to know this through vijja — cognitive skill — not through ordinary labels and concepts. This is called true knowing, which meditators who develop the inner eye will realize for themselves: knowing the arising of these sensations, their persisting and their disbanding, in terms of their primary qualities and basic regularity. Knowing things for what they really are. Nibbana is the ultimate ease. — Vedana: the mind's experience of feelings of pleasure, pain, and indifference. — Sañña: recognizing and labeling the objects of the mind. — Sankhara: mental fabrications or fashionings of good and bad. — Viññana: distinct consciousness or cognizance of objects. One class of these mental acts stays in place, arising and disbanding with reference to the immediate present. Another class is termed 'gocara vedana' 'gocara sañña,' etc., which go out to refer to the world. Each of these has five levels, differing as to whether they're common, refined, or subtle, slow or fast. These five levels connect with each other, running out in stages, and then circling back to their starting point, disbanding and then arising again — all without end. When we don't have the skill to discern the primary sensations and mental acts that stay in place, we can't see into the 'gocara' sensations and mental acts that go flowing around. This is termed 'avijja,' the unawareness that opens the way for connecting consciousness (patisandhi viññana), giving rise to the act of fashioning (sankhara), which is the essence of kamma. This gives fruit as sensations and feelings that are followed by craving, and then the act of labeling, which gives rise to another level of consciousness — of sensory objects — and then the cycle goes circling on. This is termed the 'khandha-vatta,' the cycle of the aggregates, circling and changing unevenly and inconsistently. To see this is called aniccanupassana-ñana, the knowledge that keeps track of inconstancy as it occurs. This is known through the inner eye, i.e., the skill of genuine discernment. Thus, those who practice the exercises of insight meditation should use their sensitivities and circumspection to the full if they hope to gain release from unawareness. Fashionings, in this context, are like waves on the ocean. If we're out in a boat on the ocean when the waves are high, our vision is curtailed. Our senses of hearing, smell, taste, touch, and ideation are all curtailed. We won't be able to perceive far into the distance. What this means is that when our minds are immersed in the Hindrances, we won't be able to perceive death at all. But once we've been able to suppress the Hindrances, it's like taking a boat across the ocean when there are no waves. We'll be able to see objects far in the distance. Our eyes will be clear-seeing, our ears clear-hearing, our senses of smell, taste, touch and ideation will be broad and wide open. The water will be clear, and the light brilliant. We'll be able to know all around us. In the same way, those who are to know death clearly have to begin by practicing concentration as a foundation for developing liberating insight. How do the five sorts of above-mentioned sensation arise? What are their causes? How do they disappear? How do physical and mental feelings arise? How do they disappear? What are their causes? How do labels and concepts arise? What are their causes? How do they disappear? How do mental fashionings arise? What are their causes? How do they disappear? How does consciousness arise by way of the senses of sight, hearing, smell, taste, touch, and ideation? What are its causes? How does it disappear? Altogether there are four levels to each of the five aggregates (khandhas): external and internal, staying in place and streaming outward. These can be known at all times, but only people who have the discernment that comes from training the mind in tranquillity and insight meditation will be able to know death on this level. The discernment that arises in this way has been termed 'pubbenivas-anussati-ñana, i.e., understanding past sensations, future sensations, and sensations in the present. These sensations differ in the way they arise and pass away. To know this is to have mastered one cognitive skill. Cutupapata-ñana: With discernment of this sort, we're able to keep track of the states of our own mind as they arise and disappear, sometimes good as they arise and good as they disappear, sometimes bad as they arise and bad as they disappear, sometimes good as they arise and bad as they disappear, sometimes bad as they arise and good as they disappear. To be able to keep track in this way is to know states of being and birth. Asavakkhaya-ñana: When the discernment of this skill arises, it leads to disenchantment with the way sensations and mental acts arise and disappear and then arise again, simply circling about: coarser sensations going through the cycle slowly, more refined sensations going quickly; coarser mental acts going slowly, more refined mental acts going quickly. When you can keep track of this, you know one form of stress. Now focus attention back on your own mind to see whether or not it's neutral at that moment. If the mind approves of its knowledge or of the things it knows, that's kamasukhallikanuyoga — indulgence in pleasure. If the mind disapproves of its knowledge or of the things it knows, that's attakilamathanuyoga, indulgence in self-infliction. Once you've seen this, make the mind neutral toward whatever it may know: That moment of awareness is the mental state forming the Path. When the Path arises, the causes of stress disband. Try your best to keep that mental state going. Follow that train of awareness as much as you can. The mind when it's in that state is said to be developing the Path — and at whatever moment the Path stands firm, disbanding and relinquishing occur. When you can do this, you reach the level where you know death clearly. People who know death in this way are then able to reduce the number of their own deaths. Some of the Noble Ones have seven more deaths ahead of them, some have only one more, others go beyond death entirely. These Noble Ones are people who understand birth and death, and for this reason have only a few deaths left to them. Ordinary people who understand their own birth and death on this level are hard to find. Common, ordinary birth and death aren't especially necessary; but people who don't understand the Dhamma have to put up with birth and death as a common thing. So whoever is to know death on this level will have to develop the cognitive skill that comes from training the mind. The skill, here, is knowing which preoccupations of the mind are in the past, which are in the future, and which are in the present. This is cognitive skill (vijja). Letting go of the past, letting go of the future, letting go of the present, not latching onto anything at all: This is purity and release. As for unawareness, it's the exact opposite: not knowing what's past, not knowing what's future, not knowing what's present — that is, the arising and falling away of sensations and mental acts, or body and mind — or at most knowing only on the level of labels and concepts remembered from what other people have said, not knowing on the level of awareness that we've developed on our own. All of this is classed as avijja, or unawareness. 'Knowing both sides' means knowing what's constant and what's inconstant, what's stress and what's ease, what's not-self and what's self. 'Letting go both ways' means not latching onto things that are constant or inconstant, not latching onto stress or ease, not latching onto self or not-self. 'Shedding everything' means not holding onto past, present, or future: Awareness doesn't head forward or back, and yet you can't say that it's taking a stance. na ca kiñci loke upadiyati. Now I would like to describe the virtues of the arahants, those who have gained complete insight into the world, abandoning it once and for all. Though their aggregates (physical and mental activities) may still appear to the world, they are pure aggregates, absolutely free from both good and evil, because the mind doesn't claim possession of them. The mind is untouched by the behavior of the aggregates. The ten fetters have been disbanded completely and no longer entangle the heart, which is why this state is called nibbana: liberation. The mind is radiant and clear; passion, aversion, and delusion can no longer cloud it. It has reached the radiance of the primal nature of the heart, to which nothing else can compare. Once this radiance is realized, it obliterates the radiance of all three levels of existence, so that no state of being appears at all. As long as the mind has yet to gain release from defilement, it is bound to regard the three levels of existence as radiant and appealing. Once the mind reaches stream-entry, the radiance of the three levels of existence begins to darken and dim. When it reaches the level of once-returning, that radiance appears even dimmer; and on the level of nonreturning, it appears dimmer yet, although it is still there. When arahantship is reached, the radiance of the three levels of existence is so dim that it has virtually vanished. When virtue, concentration, and discernment are gathered at the mind, and unawareness disbands along with the higher levels of the noble path, the world doesn't appear at all. You can't tell what features, colors, or shapes it has, or even where it is. There is only the pure brilliance of nibbana. All the worlds are dissolved in the moments of the path and fruition of arahantship. This brilliance is something always there, but we don't see it because of our own darkness and delusion. This very brilliance, though, can obliterate the darkness of the world so that only nibbana will appear. The radiance of nibbana obliterates the radiance of the world just as the light of the sun, which illumines the world of human beings and common animals, can obliterate at midday the light of the stars appearing in the sky at night. Another comparison is the light of the candle, which in the darkness appears bright to our eyes: If a burning kerosene lantern is brought near the candle, the candle's light will appear to dim. If the lantern's light is really brilliant, the light of the candle won't even appear. If we aren't observant, we may think that the candle isn't shedding any light at all, but actually it's giving off as much light as before, only now no one pays it any attention. So it is with the mind that has reached radiant nibbana, which obliterates the light of the sun and moon, and wipes from the heart the glittering appeal of heaven and the Brahma worlds. This is why nibbana is said to be zero or void: None of the three worlds appears as a preoccupation of the heart; the heart no longer entangles itself. It zeroes itself from the world, i.e., it no longer takes part in birth, aging, illness, and death. Nibbana is something genuine and unchanging. It knows nothing of deterioration. It always stays as it is. As long as there is birth, aging, illness, and death, there will always be nibbana, because birthlessness comes from birth, and deathlessness lies buried in the very midst of dying. The problem, then, lies with those who don't lay the ground-work for realizing nibbana. Nibbana doesn't vacillate back and forth, but most people who practice virtue, concentration, and discernment do. Just like a man who is going to walk to a city but, when he gets halfway there, turns back: Normally he should reach the city in thirty days, but if he walks back and forth like this even for three years, he'll never get there. And when he doesn't reach the city, if he were then to go telling people that it doesn't exist, he would be making a serious mistake. So it is with people who practice virtue, concentration, and discernment in half measures, back and forth, and — when they don't gain Awakening — go telling others that nibbana is null and void, that the Buddha took it with him when he died. This is very wrong. We can make a comparison with a field where our parents have raised rice and always gotten a good crop. If they die, and our own laziness fills their place so that we don't do the work, we're bound to go hungry. And once we're hungry, can we then say that our parents took the rice or the field with them? In the same way, nibbana is there, but if we don't assemble the causes for realizing it and then go denying its existence, you can imagine for yourself how much harm we're doing. If we haven't yet reached or realized nibbana, there's nothing extraordinary about it. But once we have come close to nibbana, the world will appear as if full of vipers and masses of fire. The palaces and mansions of heavenly beings, if you can see them, will look like the hovels of outcastes. You won't be attracted to living in them, because you've already known nibbana. Nibbana is nothing else but this ordinary heart, freed from all the effluents of defilement so that it reaches its primal nature. The primal nature of the heart is something that doesn't take birth, age, grow ill, or die. What takes birth is the act of falling for preoccupations. The heart's nature is clear and shining, but unawareness keeps it clouded and opaque. Yet even on the physical level — to say nothing of the heart — if someone were to come along and say that the water in the ocean is clear by nature, that a person with any intelligence could see the ocean floor, you'd have a hard time trying to find anyone to believe him. But what he says is true. There are plenty of reasons why we can't see the ocean floor — the dust and minute particles floating in the water, the wind and the sea creatures that interact with the water — but if you could get someone to eliminate these factors so that there would be nothing but the nature of the water, it would be crystal clear. You could tell at a glance how deep or shallow the ocean was without having to waste your time diving and groping around. So it is with the heart: If our hearts are still ignorant, we shouldn't go groping elsewhere for nibbana. Only if we cleanse our own hearts will we be able to see it. People who meditate are by and large extremely prone to conjecture and speculation, judging nibbana to be like this or that, but actually there's nothing especially deep, dark, or mysterious about it. What makes nibbana seem mysterious is our own lack of discernment. Nibbana is always present, along with the world. As long as the world exists, there will always be nibbana. But if no one explores the truth of nibbana, it will appear mysterious and far away. And once we give rise to our own misunderstandings, we're bound to start formulating notions that nibbana is like this or like that. We may decide that nibbana is extinguished; that nibbana is null and void; that nibbana has no birth, aging, illness, or death; that nibbana is the self; or that nibbana is not-self. Actually, each of these expressions is neither right nor wrong. Right and wrong belong to the person speaking, because nibbana is something untouched by supposing. No matter what anyone may call it, it simply stays as it is. If we were to call it heaven or a Brahma world, it wouldn't object, just as we suppose names for "sun" and "moon": If we were to call them stars or clouds or worlds or jewels, whatever they really are stays as it is; they aren't transformed by our words. At the same time, they themselves don't announce that they are sun or moon or anything. They are thiti-dhamma — they simply are what they are. So it is with the pure heart that we call nibbana. No matter what we call it, it simply stays as it is. Thus we say that with nibbana there's no right and no wrong. Right and wrong belong to the person speaking. People who don't know drag out their right and wrong to talk about. Nibbana is something known exclusively through the heart. Words and deeds aren't involved. Our talking is merely a matter of the path. The result, once attained, is something completely apart. We thus call it release (vimutti) because it's untouched by supposing, attaining a nature that is pure heartwood: the heart that neither spins forward nor back, the heart that attains a quality that doesn't develop or deteriorate, come or go. It stays as it is — what we suppose as thiti-dhamma, free from the germs of defilement — our very own heart, i.e., the heart's primal nature. Actually, the heart is pure by nature, but various moods and objects — various preoccupations — are mixed up with it. Once these preoccupations are cleaned out, there you are: nibbana. To know nibbana clearly is nothing other than knowing how this one heart takes its preoccupations as itself. The heart by nature is one, but if it hasn't been trained by discernment, it tends to go streaming toward preoccupations, both within and without, and then we say that this state of mind differs from that state of mind, and so they begin to multiply until they're so many that we give up trying to look after them all. They seem many because we count each preoccupation as a state of the mind itself. The problem is that we don't understand the teachings of the ancient philosophers, and so think that the mind can be called many. Take a simple example: Suppose a person has many jobs. Sometimes he sells, so he's called a merchant. If he also grows rice, he's called a farmer. If he works for the King, he's called a government official. If he acquires rank, he's called by his rank. Actually he's only one person, and none of his titles are wrong. They've been given to him simply in line with the work he does. But anyone who didn't understand would think that this man was an awful lot of people. Another comparison: When a person is born, we call it a baby. When it gets older, we call it a child. When it gets still older, we call it a young man or a young lady, and when its hair gets gray and its teeth break, we call it Grandma or Gramps. What gives rise to all these names? One and the same person. So it is with the mind that is supposed to be many. We don't understand what the words are supposed to mean, so we go groping around after our own shadows. When this is the case, we find it hard to practice. We don't understand the states of mind that have been supposed into being, and so don't see the mind that is released, untouched by supposing. When the mind is said to have many states, this is what is meant: Sometimes the mind takes on passion; this is called saraga-citta, a passionate mind. Sometimes it takes on irritation and aversion; this is called sadosa-citta, an angry mind. Sometimes it takes on a deluded state as itself; this is called samoha-citta, a deluded mind. These states are all on the unwise side, and are termed akusala-citta, unskillful mental states. As for the good side: vitaraga-citta, the mind has reached satisfaction and so its desires fade; vitadosa-citta, the mind has had enough and so its anger disappears; vitamoha-citta, the mind is bright and so withdraws from its dullness, just as the sun or moon withdraws from an eclipse and is bright and clear. These are termed kusala-citta, skillful mental states. Some people at this point think that there are six states to the mind, or even six minds. The true nature of the mind, though, is one. To count six states or six minds is to count the preoccupations; the primal mind is radiant. We take a few things to be many and so end up poor, just as when a foolish or poor person thinks that a thousand baht is a lot of money. An intelligent or rich person, though, realizes that it's just a little: You can spend it all in two days. A fool, however, would think that a thousand baht would make him rich and so he'll have to continue being poor. So it is if we see our one mind as many: We'll have to be poor because we'll be at our wits' end trying to train it. The nature of the mind that's clear and one is like clean, clear water mixed with different colors in different bottles. We may call it red water, yellow water, green water, etc., but the water itself is still clear as it always was. If a fool comes along and falls for the colors, he wants to taste them all. He may drink five bottles, but they'll all be just like the first. If he knows beforehand that it's all the same water, he won't feel any desire to waste his time drinking this or that bottle. All he has to do is taste one bottle, and that'll be enough. So it is with the mind: If we realize that the mind is in charge and is the determining factor in all good and evil and in the attainment of nibbana, we won't feel any desire to go saying that the mind is like this or like that. The mind seems to be many because it gets entangled in various preoccupations, and when these preoccupations dye the mind, we count them as states of the mind itself. The pure nature of the heart and mind is like the sun, which shines every day throughout the year but is concealed by clouds during the rainy season. Those who don't know its nature then say that the sun isn't shining. This is wrong. Their vision can't penetrate the clouds and so they find fault with the sun. They suppose that the darkness of the clouds belongs to the sun, get stuck on their own supposings, and so don't reach the truth. The true nature of the sun is always bright, no matter what the season. If you don't believe me, ask an airplane pilot. If you go up past the clouds in an airplane on a dark rainy day, you'll know whether the sun is in fact dark or shining. So it is with the mind: No matter how it may be behaving, its nature is one — radiant and clear. If we lack discernment and skill, we let various preoccupations come flowing into the mind, which lead it to act — sometimes wisely and sometimes not — and then we designate the mind according to its behavior. Because there is one mind, it can have only one preoccupation. And if it has only one preoccupation, then there shouldn't be too much difficulty in practicing so as to know its truth. Even though the mind may seem to have many preoccupations, they don't come all at once in a single instant. They have to pass by one at a time. A good mood enters as a bad one leaves; pleasure enters, pain leaves; ingenuity enters, stupidity, leaves; darkness enters, brightness leaves. They keep trading places without let-up. Mental moments, though, are extremely fast. If we aren't discerning, we won't be able to know our own preoccupations. Only after they've flared up and spread to affect our words and deeds are we usually aware of them. Normally this one mind is very fast. Just as when we turn on a light: If we don't look carefully, the light seems to appear, and the darkness to disperse, the very instant we turn on the switch. This one mind, when it changes preoccupations, is that fast. This one mind is what leads to various states of being because our preoccupations get into the act so that we're entangled and snared. It's not the case that one person will have many minds. Say that a person goes to heaven: He goes just to heaven. Even if he is to go on to other levels of being, he has to pass away from heaven first. It's not the case that he'll go to heaven, hell, and the Brahma worlds all at the same time. This goes to show that the mind is one. Only its thoughts and preoccupations change. The preoccupations of the mind come down simply to physical and mental phenomena that change, causing the mind to experience birth in various states of being. Since the mind lacks discernment and doesn't know the true nature of its preoccupations, it gropes about, experiencing death and rebirth in the four modes of generation (yoni). If the mind has the discernment to know its preoccupations and let go of them all without remainder, leaving only the primal nature of the heart that doesn't fall for any preoccupation on the levels of sensuality, form, or formlessness, it will be able to gain release from suffering and stress. "Once the mind is fully matured by means of virtue, concentration and discernment, it gains complete release from the effluents of defilement." Khandha-kamo — desire for the five aggregates is over and done with. Bhava-kamo — desire for the three levels of being (the sensual plane, the plane of form, and the plane of formlessness) disbands and disperses. The three levels of being are essentially only two: the aggregate of physical phenomena, which includes the properties of earth, water, fire, and wind; and the aggregates of mental phenomena, which include feelings, labels, fashionings, and consciousness — in short, the phenomena that appear in the body and heart or, if you will, the body and mind. Physical phenomena are those that can be seen with the eye. Mental phenomena are those that can't be seen with the eye but can be sensed only through the heart and mind. Once we can distinguish these factors and see how they're related, we'll come to see the truth of the aggregates: They are stress, they are the cause of stress, they are the path. Once we understand them correctly, we can deal with them properly. Whether they arise, fade, or vanish, we won't — if we have any discernment — latch onto them with any false assumptions. The mind will let go. It will simply know, neutral and undisturbed. It won't feel any need to worry about the conditions or behavior of the aggregates, because it sees that the aggregates can't be straightened out. Even the Buddha didn't straighten out the aggregates. He simply let them go, in line with their own true nature. The heart is what creates the substance of the aggregates. If you try to straighten out the creations, you'll never be done with them. If you straighten out the creator, you'll have the job finished in no time. When the heart is clouded with dullness and darkness, it creates aggregates or physical and mental phenomena as its products, to the point where the birth, aging, illness, and death of the aggregates become absolutely incurable — unless we have the wisdom to leave them alone in line with their own nature. In other words, we shouldn't latch onto them. This is illustrated in the Canon, where the Buddha says in some passages that he is free from birth, aging, illness, and death. If we read further, though, we'll notice that his body grew old, ill and then died; his mental activity ended. This shows that the aggregates should be left alone. Whatever their nature may be, don't try to resist it or go against it. Keep your mind neutral and aware. Don't go latching onto the various preoccupations that arise, age, grow ill, and vanish, as pertaining to the self. If you can do this, you're practicing correctly. Aim only at the purity of the one heart that doesn't die. The heart clouded with dullness and darkness lacks a firm base and so drifts along, taking after the aggregates. When they take birth, it thinks that it's born; when they age, it thinks that it's aged; when they grow ill and disband, it gets mixed up along with them and so experiences stress and pain, its punishment for drifting along in the wake of its supposings. If the mind doesn't drift in this way, there is simply the disbanding of stress. The cause of stress and the path disband as well, leaving only the nature that doesn't die: buddha, a mind that has bloomed and awakened. For the mind to bloom, it needs the fertilizer of virtue and concentration. For it to awaken and come to its senses, it needs discernment. The fertilizer of concentration is composed of the exercises of tranquillity and insight meditation. The mind then gains all-around discernment with regard to the aggregates — seeing the pain and harm they bring — and so shakes itself free and keeps its distance, which is why the term "arahant" is also translated as "one who is distant." In other words, the mind has had enough. It has had its fill. It's no longer flammable, i.e., it offers no fuel to the fires of passion, aversion, and delusion, which are now dispersed once and for all through the power of discernment. This is the supreme nibbana. Birth has been absolutely destroyed, but nibbana isn't annihilation. Nibbana is the name for what still remains: the primal heart. So why isn't it called the heart? Because it's now a heart with no preoccupations. Just as with the names we suppose for "tree" and "steel": If the tree is cut, they call it "lumber." If it's made into a house, they call it "home." If it's made into a place to sit, they call it a "chair." You never see anyone who would still call it a "tree." The same with steel: Once it's been made into a car or a knife, we call it a "car" or a "knife." You never see anyone who would still call it a "steel." But even though they don't call it a steel, the steel is still there. It hasn't run off anywhere. It's still steel just as it always was. So it is with the heart when the expert craftsman, discernment, has finished training it: We call it nibbana. We don't call it by its old name. When we no longer call it the "heart," some people think that the heart vanishes, but actually it's simply the heart in its primal state that we call nibbana. Or, again it's simply the heart untouched by supposing. No matter what anyone may call it, it simply stays as it is. It doesn't take on anyone's suppositions at all. Just as when we correctly suppose a diamond to be a diamond: No matter what anyone may call it, its real nature stays as it is. It doesn't advertise itself as a diamond. It simply is what it is. The same with the heart: Once it gains release, it doesn't suppose itself to be this or that. It's still there. It hasn't been annihilated. Just as when we call a diamond a diamond, it's there; and when we don't call it anything, it's still there — it hasn't vanished or disappeared — so it is with the hear that is nibbana: It's there. If we call it a sun, a moon, heaven, Brahma world, earth, water, wind, fire, woman, man, or anything at all, it's still there, just as before. It hasn't changed in any way. It stays as it is: one heart, one Dhamma, free from the germs of defilement. This is why the truest name to suppose for it is release. What we call heart, mind, intellect, form, feeling, labels, mental fashionings, consciousness: All these are true as far as supposing goes. Wherever supposing is, there release can be found. Take a blatant example: the five aggregates. If you look at their true nature, you'll see that they've never said, "Look. We're aggregates," or "Look. We're the heart." So it is with the heart that's nibbana, that has reached nibbana: It won't proclaim itself as this or that, which is why we suppose it to be release. Once someone has truly reached release, that's the end of speaking. I make it a practice to wander about during the dry season every year. I do this because I feel that a monk who stays put in one monastery is like a train sitting still at HuaLampong station — and everyone knows the worth of a train sitting still. So there's no way I could stay in one place. I'll have to keep on the move all of my life, as long as I'm still ordained. Some of my companions have criticized me for being this way, and others have praised me, but I myself feel that it brings nothing but good. I've learned about the land, events, customs and religious practices in different areas. In some places it may be that I'm more ignorant than the people there; in other places and with other groups, it might be that I know more than they, so there's no way I can lose by traveling about. Even if I just sit still in the forest, I gain by it. Wherever I find the people know less than I do, I can be their teacher. In whatever groups I find that I know less than they do, I'm willing to be their student. Either way I profit. At the same time, living in the forest as I like to do has given me a lot to think about. 1) It was a custom of the Buddha. He was born in the forest, attained Awakening in the forest, and totally entered nibbana in the forest — and yet how was he at the same time able to bring his virtues right into the middle of great cities, as when he spread his religious work to include King Bimbisara of Rajagaha. 2) As I see it, it's better to evade than to fight. As long as I'm not superhuman, as long as my skin can't ward off knives, bullets and spears, I'd better not live in the centers of human society. This is why I feel it's better to evade than to fight. People who know how to evade have a saying: 'To evade is wings; to avoid is a tail.' This means: A tiny chick, fresh out of the egg, if it knows how to evade, won't die. It will have a chance to grow feathers and wings and be able to survive on its own in the future. 'To avoid is a tail': This refers to the tail (rudder) of a boat. If the person holding the rudder knows how to steer, he'll be able to avoid stumps and sand bars. For the boat to avoid running aground depends on the rudder. Since this is the way I see things, I prefer living in the forest. 3) I've come to consider the principles of nature: It's a quiet place, where you can observe the influences of the environment. Wild animals, for example, sleep differently from domesticated animals. This can be a good lesson. Or take the wild rooster: Its eyes are quick, its tail feathers sparse, its wings strong and its call short. It can run fast and fly far. What do these characteristics come from? I've made this a lesson for myself. Domesticated roosters and wild roosters come from the same species, but the domesticated rooster's wings are weak, its call long, its tail feathers lush and ungainly, its behavior different from that of the wild rooster. The wild rooster is the way it is because it can't afford to let down its guard. It always has to be on the alert, because danger is ever-present in the forest. If the wild rooster went around acting like a domestic rooster, the cobras and mongooses would make a meal of it in no time. So when it eats, sleeps, opens and closes its eyes, the wild rooster has to be strong and resilient in order to stay alive. So it is with us. If we spend all our time wallowing around in companionship, we're like a knife or a hoe stuck down into the dirt: It'll rust easily. But if it's constantly sharpened on a stone or a file, rust won't have a chance to take hold. Thus we should learn to be always on the alert. This is why I like to stay in the forest. I benefit from it, and learn many lessons. a) Make a practice of going out for alms. Be an asker, but not a beggar. Be content with whatever you are given. b) Live in a quiet place, such as an abandoned house, under a projecting cliff face, in a cave. People have asked if the Buddha had any reasons for this teaching, but I've always been convinced that if there were no benefits to be gained from these places, he wouldn't have recommended them. Still, I wondered what the benefits were, which is why I've taken an interest in this matter. c) The Buddha taught monks to make robes from cloth that had been thrown away — even to the point of wearing robes made from the cloth used to wrap a corpse. This teaching made me reflect on death. What benefits could come from wearing the cloth used to wrap a corpse? For a simple answer, think for a moment about a corpse's things: They don't appeal to anyone. No one wants them — and so they hold no dangers. In this point it's easy enough to see that the Buddha taught us not to take pride in our possessions. d) The Buddha taught that we should use medicines near at hand, such as medicinal plants pickled in urine. These teachings of the Buddha, when I first heard them, sparked my curiosity. Whether or not I would benefit from following them, there was one thing I was sure of: that the Buddha was not the sort of person who would hold blindly to anything, and that he would never teach anything without good reason. So even if I wasn't totally convinced of his teachings, I should at least respect them. Or if I didn't yet have confidence in my teacher's ability, I owed it to him and to the traditions of the Sangha to give his teachings a try. When I thought of these words, I felt sympathy for MahaKassapa, subjecting himself to all sorts of hardships. If you were to put it in worldly terms, you could say that he was already a multimillionaire, deserving a soft bed and fine food, but instead he slept and ate on the ground, and had only coarse food to eat. Thinking of his example, I'd be ashamed to look for nothing more than creature comforts. As for MahaKassapa, he could have eaten fine food and lived in a beautiful home with no danger of his heart's being defiled. But — and it's not surprising — he was more concerned with benefiting those who came after. All of these things have given me food for thought ever since I was first ordained. Speaking of living in the forest, I've learned a lot of unusual lessons there. Sometimes I've seen death close at hand and have learned a lot of lessons — sometimes from seeing the behavior of animals, sometimes from talking to people who live there. When her husband heard this, he came to his senses and so fell back on the ground, lying absolutely still. Seeing this, the bear climbed up astride him, but then let go of him and simply stood looking at him. The old man lay there on his back, meditating on the word, 'buddho, buddho,' and thinking, 'I'm not going to die. I'm not going to die.' The bear pulled at his legs and then at his head, and then used its nuzzle to push him left and right. The old man kept his joints loose and didn't react in any way. After the bear had decided that the man was dead, it left. A moment or so later the man got up and walked home with his wife. His head was all battered and bloody, but he didn't die. Hearing this, the thought occurred to me, 'No one is interested in a dead person. Since I live in the forest, I should play dead. Whoever praises me or attacks me, I'll have to be still — quiet in thought, word and deed — if I want to survive.' This can also be a good reminder in the way of the Dhamma: To free yourself from death, you have to play dead. This is a good lesson in maranassati, keeping death in mind. Another time, early one morning when I was staying in the middle of a large forest, I took my followers out for alms. As we were going through the forest, I heard a mother chicken cry, 'Kataak! Kataak!' Since she didn't fly away, I figured she probably had some baby chicks, so I sent the boys to run and look. This frightened the chicken and she flew away over the trees. The boys saw a lot of baby chicks running around, but before they could catch them, the chicks scurried into a large pile of fallen leaves. There they hid themselves and lay absolutely still. The boys took a stick and stirred around in the leaves, but the chicks didn't move. They didn't even make a peep. Although the boys kept looking for a while, they couldn't find even a single chick. I knew that the chicks hadn't gone anywhere. They had just pretended to be fallen leaves. So as it turned out, of all those little tiny chicks, we couldn't catch a one. Thinking about this, I was struck by their instincts for self-preservation, and how clever they were: They simply kept themselves quiet in a pile of fallen leaves. And so I made a comparison for myself: 'When you're in the wilds, then if you can keep your mind still like the baby chicks, you're sure to be safe and to free yourself from dying.' This was another good lesson. Some kind of trees make themselves quiet in ways we can see: We say that they 'sleep.' At night, they fold up their leaves. If you go lie under them, you'll have a clear view of the stars in the nighttime sky. But when day comes, they'll spread out their leaves and give a dense shade. This is a good lesson for the mind: When you sit in meditation, close only your eyes. Keep your mind bright and alert, like a tree that closes its leaves and thus doesn't obstruct our view of the stars. When you can think in this way you see the value of living in the forest. The mind becomes confident. Dhamma that you have studied — or even that you haven't — will make itself clear because nature is the teacher. It's like the sciences of the world, which every country has used to develop amazing powers. None of their inventions or discoveries came out of a textbook. They came because scientists studied the principles of nature, all of which appear right here in the world. As for the Dhamma, it's just like science: It exists in nature. When I realized this I no longer worried about studying the scriptures, and I was reminded of the Buddha and his disciples: They studied and learned from the principles of nature. None of them followed a textbook. For these reasons I'm willing to be ignorant when it comes to texts and scriptures. Some kinds of trees sleep at night and are awake during the day. Others sleep by day and are awake by night. The same is true of forest animals. Living in the forest, you also learn from the vapors that each plant exudes. Some plants are good for your health, some are bad. Sometimes, for example, when I've been feverish, I've gone to sit under certain kinds of trees and my fever has disappeared. Sometimes when I've been feeling well I've gone to sit under certain kinds of trees and the elements in my body have become disturbed. Sometimes I've been hungry and thirsty, but as soon as I go sit under certain kinds of trees, my hunger and thirst disappear. Learning from trees in this way has caused me to think about the traditional doctors who keep a statue of a hermit on their altars. Those hermits never studied medical textbooks, but were able to teach about medicines that can cure disease because they had studied nature by training their minds the same way we do. Similar lessons can be learned from water, earth and air. Realizing this, I've never gotten very excited about medicines that cure disease, because I feel that good medicines are everywhere. The important point is whether or not we recognize them, and this depends on us. In addition, there's another quality we need in order to take care of ourselves: the power of the mind. If we're able to keep the mind quiet, its ability to cure disease will be tens of times greater than that of any medicine. This is called dhamma-osatha: the medicine of the Dhamma. All in all, I can really see that I've gained from living in forests and other quiet places in order to train the mind. One by one I've been able to cut away my doubts about the Buddha's teachings. And so, for this reason, I'm willing to devote myself to the duties of meditation until there's no more life left for me to live. The gains that come from training the mind, if I were to describe them in detail, would go on and on, but I'll ask to finish this short description here. Source: Copyright © 1999 Metta Forest Monastery. Reproduced and reformatted from Access to Insight edition © 1999 For free distribution. This work may be republished, reformatted, reprinted, and redistributed in any medium. It is the author's wish, however, that any such republication and redistribution be made available to the public on a free and unrestricted basis and that translations and other derivative works be clearly marked as such. Inquiries concerning this book may be addressed to: The Abbot, Metta Forest Monastery, PO Box 1409, Valley Center, CA 92082, USA.